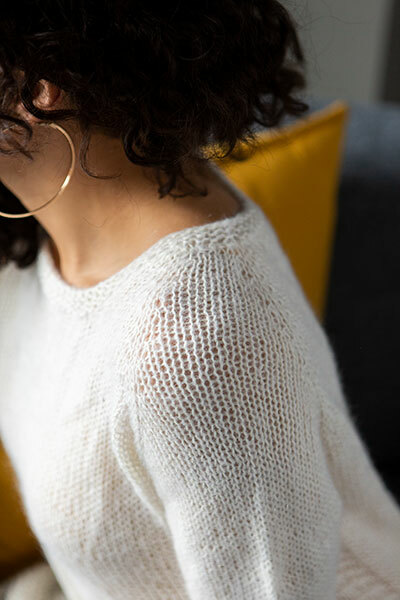 In Finnish, Aamu means morning, but this is a sweater you’ll love to cozy up in at any time of day. Wearing the Aamu sweater is like wrapping yourself with a soft, fluffy cloud. Delicate and feminine, it will keep you warm all winter long. 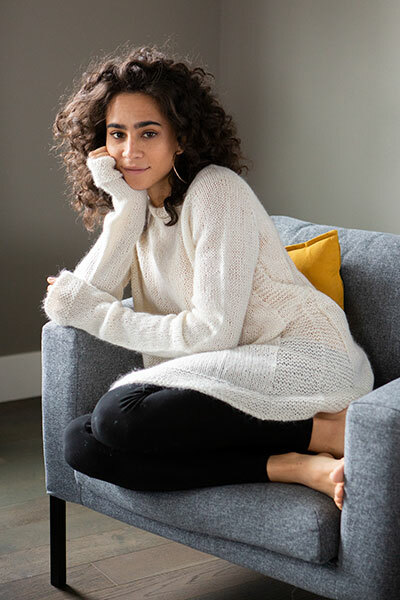 Aamu is a loose, slightly A-lined raglan long sweater worked seamlessly from the top down in the round, with two yarns held together throughout. 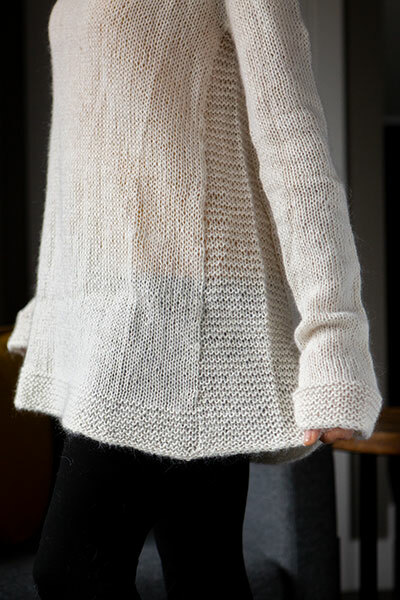 Garter stitch details add interest to cuffs, neckline, and the gradually widening wedges worked from the underarm.